Want to get fitter and stronger for your swimming. This strength and conditioning programme requires standard gym equipment and can be done at almost any gym. Designed for triathletes who are beginner/intermediate level of experience with strength and conditioning who are looking to develop your strength as you prepare you to COMPLETE YOUR event in 12 weeks time. Crafted by myself, Ray Boardman PGDipSportsMed, PGDipRehab, PGCertSc (Exercise Science), BSc (Anatomy), DipSportsStudies this plan encapsulates my passion for the sport, my experience from completing triathlon events over the last 29 years and coaching numerous triathletes over the last 19 years. This programme can be started anytime and goes for 12 weeks duration. There are two strength & conditioning sessions each week. Training for another race distance? 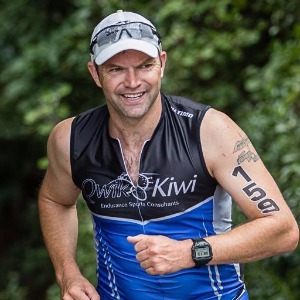 We also have training plans for Cyclists and Mountain Bikers, as well as IRONMAN/Challenge Triathlons (3.8km Swim/180km Bike/42km Run) and Sprint & Olympic Triathlons plus Running Races (from 5k to marathon), too.